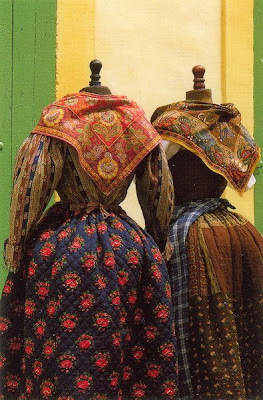 Inder Loves Folk Art: Traditional Provençal costume. I'm so inspired by these dresses! Aren't they gorgeous? Why can't I run around town in enormous, heavy, quilted skirts and colorful shawls? Can't you just see me wearing this get-up to work? This picture came from here.